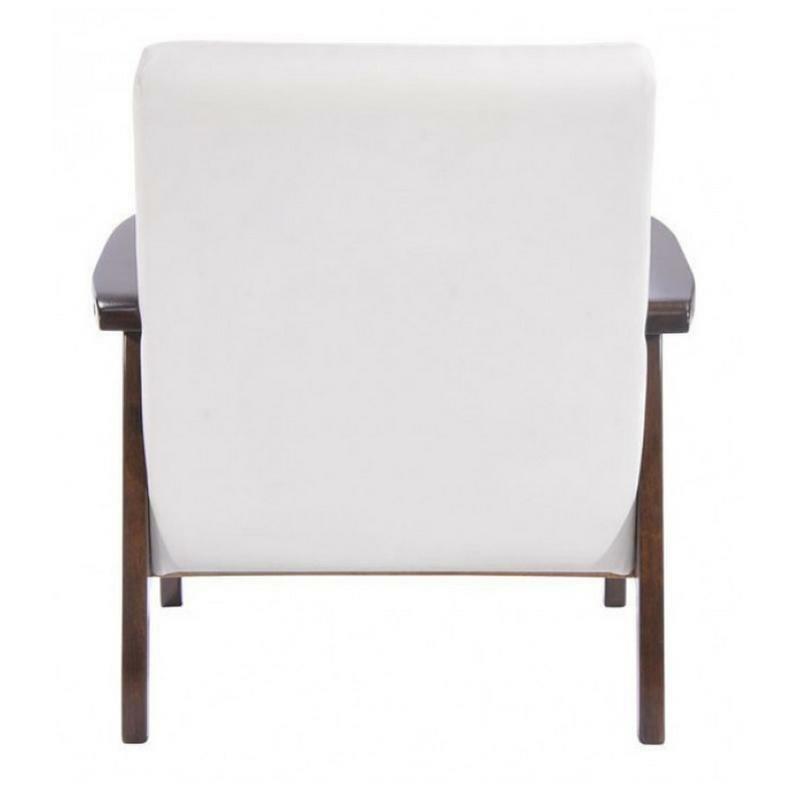 This versatile Aventura Chair is a subtle presence in any room. 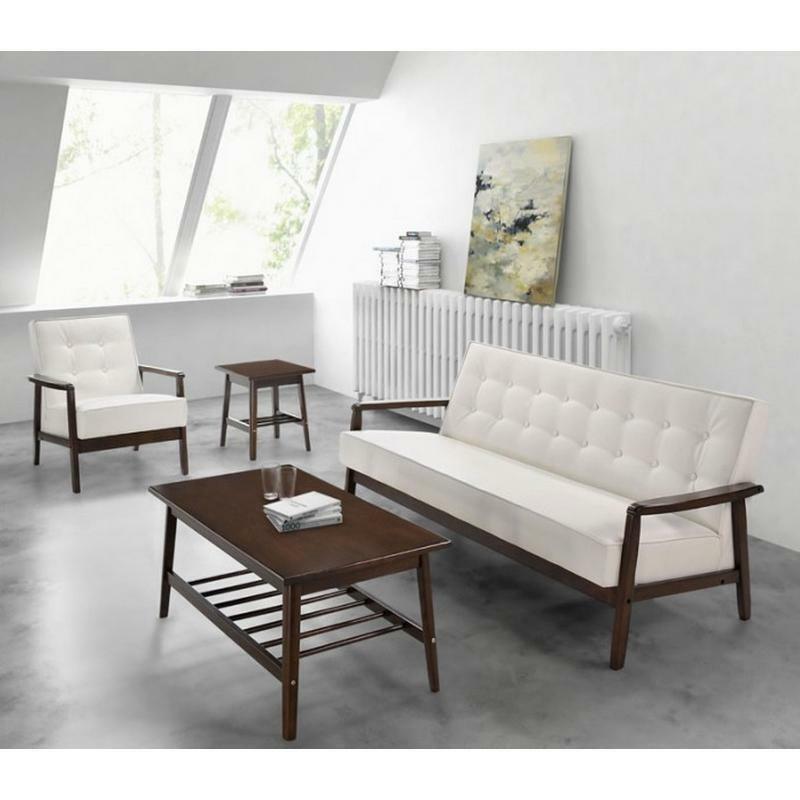 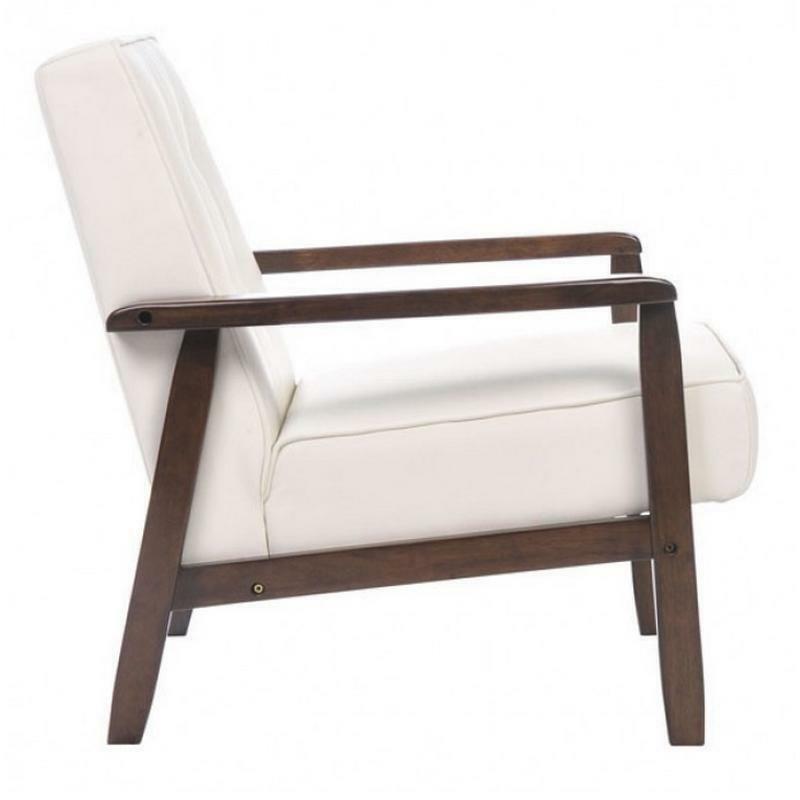 It has a white leatherette cover with a warm walnut toned frame made of solid Rubberwood. 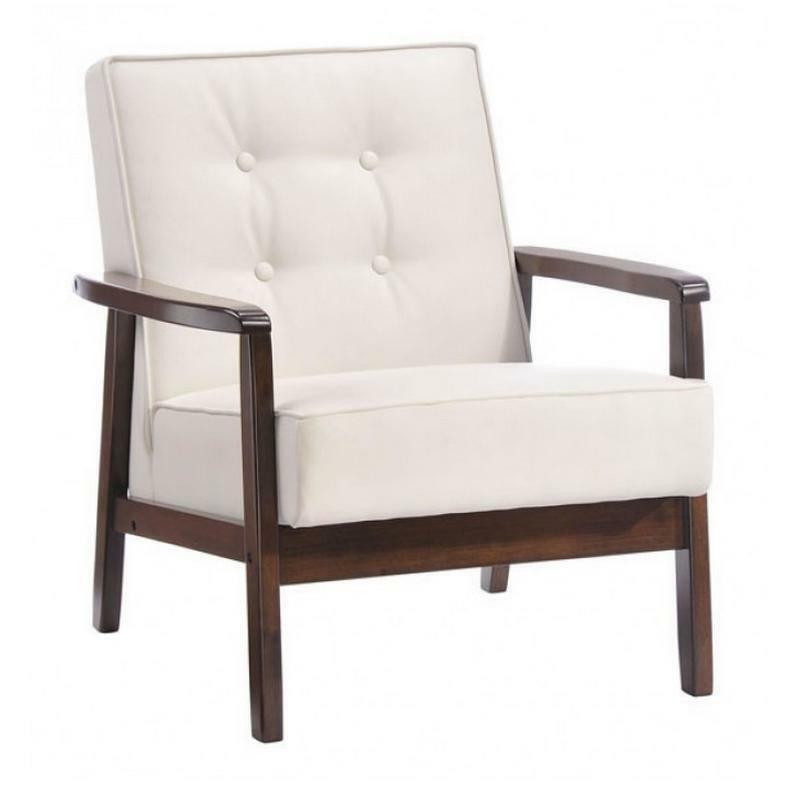 It offers a button tufted back and beautiful welting details. 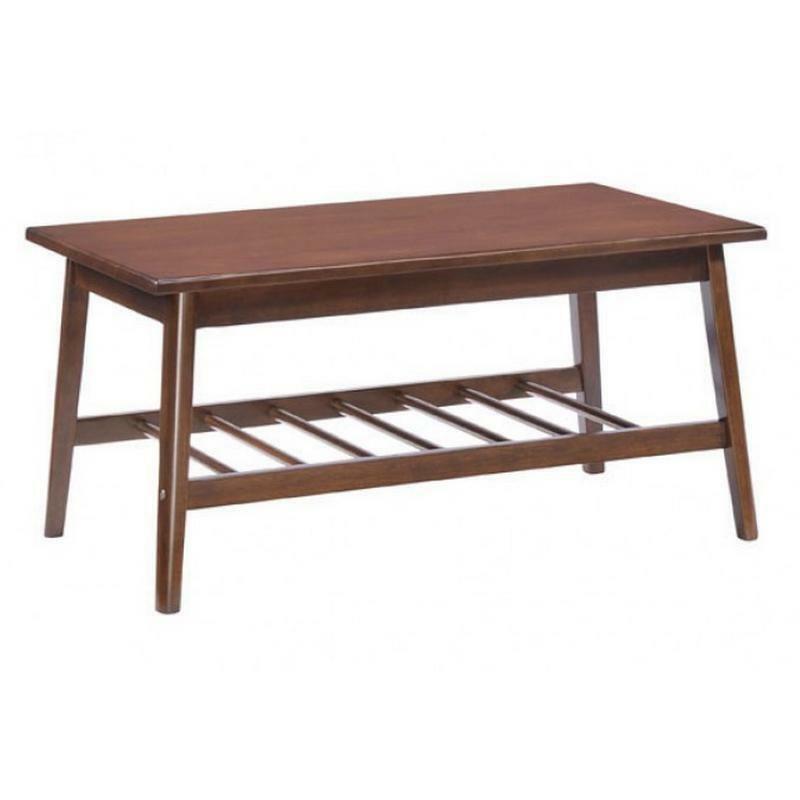 Additional Information Walnut finish; Solid Rubberwood frame; Welting details; Arm height: 18.9"